The new and final season of Game of Thrones began this past Sunday and that means James Delingpole and Toby Young must reconvene to tell us what happened, what will happen, and what it all means. And they’ll do that right after they figure out what the correct name of their bloody podcast is. Typical. Jame Delingpole and Toby Young discuss their thoughts on the last episode of the season and wonder what’s in store for the last season of the show coming in two years?! 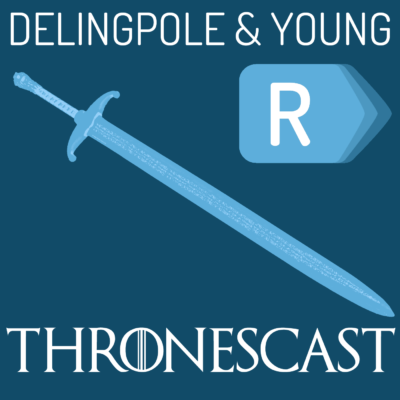 With only one more episode left in the season, Toby Young and James Delingpole go deep on this week’s episode, including and in depth discussion of who is the most desirable (not the word they used) character on the show? Tune in to hear the final verdict. 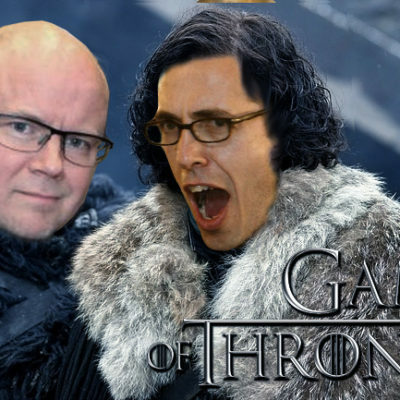 A new Game of Thrones season has begun and guide you through all of the plot lines, we’ve reassembled our intrepid team of GoT experts, James Delingpole and Toby Young. This week, Jon Snow becomes a leader, Sansa is the power behind the Throne, Arya wears a mask, and Ed Sheeran must go. In Episode 22 of London Calling, our hosts talk about what Toby considers to be Trump’s meltdown and James reckons is a minor blip. Then they discuss the Remoaners – all the Euroweenies who were thwarted in the EU Referendum vote and have been complaining ever since and who are now trying to sabotage Brexit. But James gets bored and Toby hurries the conversation along to Westworld, which segues into an increasingly strange discussion on women and whether or not they are like killer replicants trying to take over the world. In which Toby actually visits James at his country seat for a special Conservative party conference edition of London Calling. They share their excitement about the good thing about new Prime Minister Theresa May – she’s finally going to make Brexit happen – and also their anxiety about the party’s worrying Big Government tendencies. Then Toby discovers James’s dark secret: he’s a secret vegetarian. James and Toby discuss the Hillary/Trump debate and are mildly surprised to find themselves in agreement with one another. At least briefly. Trump, says his closet admirer James, was like a punch-drunk boxer, while Hillary was sharp, well-briefed, apparently likeable. Toby agrees – then delights James with some criticisms of Hillary. But then the buts begin…”Who would you rather have as the entertainer as your children’s party?” Toby asks. Naturally, the two London Calling boys reach very different conclusions. 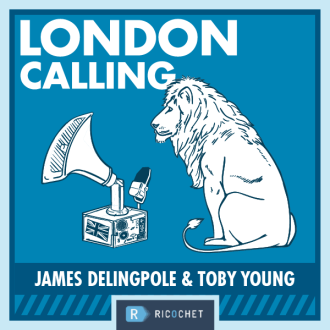 James Delingpole and Toby Young call in from London (yes, the name has persevered) to discuss the goings on in the Labour Party, Gazza, and Netflix’s Stranger Things. The show formerly known as London Calling is now called SoundCast with Delingpole and Young. We’ll let Toby and James tell you why.Thuis week’s Teresa May’s new education proposal, the prospect of a new general election in the near future, a Brexit update, Ireland vs. the EU, and Facebook censors an iconic photograph. This week, look get a glimpse of the Olympics from a perspective across the Atlantic as James Delingpole and Toby Young discuss the summer games, A Brit visits the RNC, why there wont be a Brexit recount, and our election as it looks from folks who drive on the left side of the road. James Delingpole makes it through customs to join Toby Young to chat about the continuing fallout from the Brexit vote, the view of the RNC from across the pond, the some thoughts about Milo Yiannopoulos’s banishment from Twitter.